Recently, financial adviser and teacher, Paul Merriman has been appearing all across the nation helping the fund raising efforts of your local PBS stations. At these PBS stations he has been offering a "Financial Fit Kit" as a gift when making a pledging. I received a copy of the kit for review. 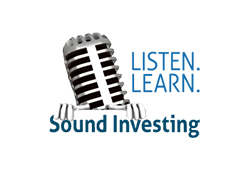 I've been following Paul Merriman's work and podcast program " Sound Investing" for several years. He has a passion to teach people how to invest. This passion is obvious in the sheer volume of information served up in this learning experience. It took me quite a while to go through 5 DVDs and 6 CDs. Plus, Paul Merriman's latest book " Financial Fitness Forever". And don't forget a 100 page workbook. Mistakenly, I thought I had heard all that Paul Merriman had to offer, but I was wrong. I learned much more than I ever thought I would. The 5 DVDs running times range from 37 minutes to 90 minutes. They answer a lot of questions that most people have about investing. In the DVDs, Paul Merriman teaches his concepts in front of a audience ranging in age from young to old. With a mix of story telling and hard facts he gets his point across in a compelling way. These video presentations contain a lot of teaching so have a pen and pad ready to jot down a few notes. When investing, learning how and where to invest can be the easy part. The trouble comes when something goes wrong. These videos explain what could go wrong and what to do about it. Most investment and money coaches give you just the "everything is going to be great speech". Where these videos excel, is they tell you the flip side. Paul Merriman believes it's necessary to explain the risks, mistakes, and stumbling points many investors will encounter. With over 40 years of meeting with clients he knows what to expect and wants to convey this to viewers. The hardest part of investing is to stay invested. While portfolios go through hard to stomach declines, many investors jump ship and go to a cash position. These videos explain what to do during periods when your portfolio is losing money. His main focus is to help you build a portfolio that will you ride out the tough times. These videos help you stay in control and give you a confidence that helps you make better decisions. Like the DVDs, the CDs are chocked full of informative investing topics. They are great to play in the car or your CD player. I copied them to my computer to listen to, on my iPod. I listened to them at work and in the car. They are not a repeat of the DVDs, but are more informative teaching and information. The subject matter of the CDs consist of explanations of index funds, different investments, financial advisors, and lessons from famous investors. The CDs are interesting because you getting good information from someone on the inside that knows how things really work. Investors can sometimes feel like they are not being told everything about how to invest. These CDs leaves no stone unturned in how investing works. CD #1 — Maximizing Your Financial Fitness. Topics: The Perfect Investment, What You Should Know About Index Funds. CD #2 — Rules Of The Financial Fitness Road. Topic: Understanding How Investing Really Works. CD #3 — The Whole Truth. Topics: 21 Things Mutual Funds Won’t Tell You, How to Avoid the Big Mistakes Pre-Retirees Make. CD #4 — Fine Tuning Your Retirement Investments. Topics: How to Get More from Your 401(k) and IRA, Target Funds—The Lazy Investor’s Best Friend. CD #5 — Defense, Defense, Defense! Topics: 10 Ways to Protect Your Investments from the Next Bear Market, How to Get the Most Out of Your Bond Funds. CD #6 — Finding The Best Financial Fitness Coach. Topics: How to Select the Best Financial Advisor, Lessons from the World’s Most Famous Investors. The “Financial Fitness After 50!” workbook is designed to create an action plan and help you make the best investment decisions. This, exclusive to PBS contributors workbook, is over 100 pages and includes, 100 Investment Decisions Guaranteed To Change Your Financial Future plus recommendations for 50 more of the nation’s largest 401(k) plans. The book, “Financial Fitness Forever” by Paul Merriman, includes the first 50. And if you have your investments in any of the 10 largest fund families, you won’t want to miss recommendations to maximize your returns whether you are a conservative, moderate or aggressive investor. I'll say it again, the amount of good information taught in this kit is very thorough. It can be compared to a mini-course in investing. The workbook explains in simple terms the basics of investing. It has information that never has been published anywhere else. It is exclusive for this kit. The workbook is divided into 101 questions that help you explore and learn what's right for personal investment goals. It has actual portfolio recommendations for all the different 401(k) investment choices or employee sponsored retirement plans. The questions are subdivided by subject. If you weren't satisfied with all the information the DVDs and CDs have, the workbook adds much more information. 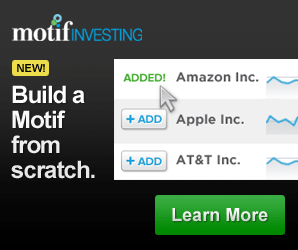 It shows you in black and white even more ways to invest for higher returns. Some people don't like to watch or listen to media for long periods of time. This workbook solves that problem. When purchasing the Financial Fit Kit you receive a card with an access code to use when going to Paul Merriman's Financial Fit Kit website. This website is only for those that have made a donation to PBS and received the kit. At the site you can download a digital copy of the workbook to print out or view on your computer screen. There is a blog where new content is updated regularly. Also Paul has his specific investing recommendations for whatever 401(k) plan you have. Using Vanguard Funds, T. Rowe Price, Fidelity, and TIAA-CREF funds you can build a portfolio using Paul Merriman's recommendations. At this website Paul Merriman and other experts will personally help you figure out what it takes for you to take better care of your savings. Here you will be able to ask Paul Merriman questions to help you be more successful with your money. This alone is worth the price you pay. This website is only for PBS contributors who have donated and received the kit. What's the cost of this Financial Fit Kit? 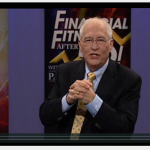 For a pledge of $65 you receive a DVD of the PBS program, “Financial Fitness After 50!” along with a bonus presentation. I recommend this kit if you want to be successful in your retirement investing. I like this kit because it teaches you how to invest correctly and shows you how to do it at a minimal cost. You can eliminate having someone do your investing for you because you will learn how to do it yourself. If your a hands-on kind of person this kit is for you. All through this material, I saw references and academic information to back up what was presented. I felt confident that this information wasn't just opinion but fact. This will be a great reference that can be used over and over again. Having this kind of knowledge will only help you make better investment decisions. You can get your own Financial Fitness Kit here, here and here. While donating to PBS your helping a great cause and benefiting yourself at the same time. I've watched the PBS special. Merriman as always is both entertaining and educational.